Mark Rutherford School is the latest customer to work with Dynamik’s design team to create a unique new floor that inspires their pupils. Staying true to their school colours the new floor features a Navy centre and Carmine surround designed around the Netball court. The school not only wanted a surface that was visually unique but also performed well and was easy to maintain, for this reason our Sport Linoleum was the chosen surface. Our Sport Linoleum is not only incredibly durable but is factory sealed to provide optimum levels grip and an easy to clean surface throughout the life of the product. 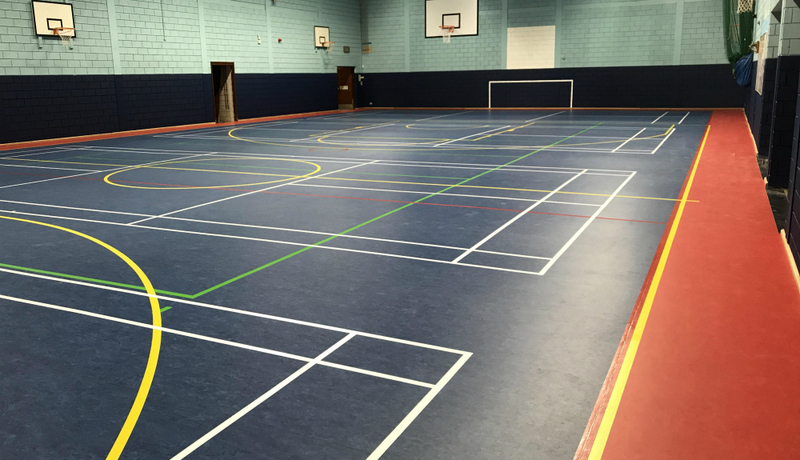 For more information about our Sport Linoleum along with our other synthetic surface please visit our Sports Hall Flooring page.